When 30 teams each play 162 games — a grand total of 2,430 games across all of baseball — there’s a lot that happens. We often focus on the superstars and the history-makers, the major media markets and the teams with pennant aspirations. Today, we’re going to take a step back from that and give a round of applause to great seasons that have so far gone under-appreciated, both on this blog and the mainstream baseball media. After a 2015 season in which Archer posted a 3.23 ERA over 212 innings while amassing 252 strikeouts, he was patented as Baseball’s Next Stud Pitcher. His 2016 numbers were not bad by any means–a 4.02 ERA with 233 strikeouts in just over 200 innings–but he struggled at the start of the season, posting an ERA north of 5.00 in April. With the Rays rarely making front-page news and out of the playoff race, Archer fell out of the national spotlight coming into 2017. Chris Sale has all but locked up the AL Cy Young this year, but don’t be surprised if second place goes to Chris Archer. He’s putting together a heck of a year in the Trop. Known as “Mini-Miggy” when he came up through the Tigers system, Avisail Garcia resembled a younger version of the Tigers’ star first baseman. Also from Venezuela, Garcia had a sweet swing and the potential to hit for both power and average, but he hadn’t put all the pieces together. After being traded to the South Side as part of the deal that saw Jake Peavy go to Boston and Jose Iglesias to Detroit, Garcia got the chance to be an everyday starter. After his 2016 campaign, Garcia vowed to do better. How’s a .303/.347/.485 slash line? 2017 has been Garcia’s breakthrough campaign. His .303 batting average is nearly 50 points higher than his previous high in 2015, and his .347 OBP shows suggests that the batting average isn’t an empty stat in Garcia’s case. He’s already matched his career high with 13 home runs, hitting that mark in 60 fewer games. Garcia’s strong first half was rewarded with his first career All-Star nod. He’s on the disabled list right now with a finger injury, but keep an eye on him when he gets back; he could be a major part of the White Sox rebuild in the outfield corner. If he weren’t currently 2 innings short of qualifying for the title, James Paxton would be leading the American League in ERA with a 2.68 mark. His 2017 campaign started with 3 straight scoreless starts, totaling 21 innings without allowing an earned run. He’s up to 7 scoreless starts this season alone. Beyond the elevated strikeout numbers and improved breaking pitch, the secret to Paxton’s success this year has been keeping the ball in the park. He leads all starters with a 0.42 HR/9 (min. 100 innings), having allowed just five long balls on the season and never more than one in a game. In an era where the home run has reigned supreme, Paxton has kept hitters in the yard en route to a terrific season in the Great Northwest. It’s been a year to forget in Flushing. The Mets’ pitching staff has dealt with more injuries than a military field hospital, nearly everyone has talked about getting traded, and even the mascot can’t take it anymore. Amidst the carnage of Citi Field Michael Conforto is quickly playing his way into a long-term contract with the Mets as he acts as the bridgehead to a new crew of Mets’ prospects–ones that hopefully won’t come with so many injury concerns. Conforto is a rare breed: the jack-of-all-trades with the bat. In his second full season with the big-league club, the young outfielder leads the team in batting average, on-base percentage, and slugging. He sprays the ball to all fields, making it difficult to employ a shift against him. He has the power to hit the ball over the fence and enough speed to leg out doubles when it stays in the park. After hitting a rough patch in June Conforto has returned from his first all-star appearance refreshed; he’s slashing .325/.395/.662 in the second half of the season. 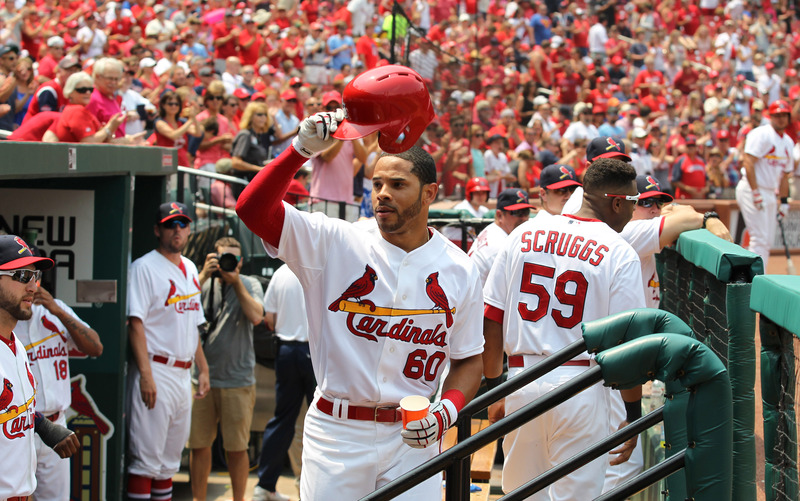 The award for most unexpectedly-good player this season goes to Cardinals’ outfielder Tommy Pham, who leads all St. Louis position players in WAR by miles. Drafted back in 2006, Pham spent years working his way through the minors until he finally debuted with the Cardinals in 2014. His solid 2015 season was followed up by a poor showing in 2016, where he slashed .226/.324/.440 in 78 games. Most preseason projections didn’t even have him starting in Busch Stadium in 2017. A new star in St. Louis? Through 78 games of 2017, Pham is slashing .315/.401/.520. He’s made a home for himself in the 2-hole of the lineup, typically the place for the best hitters on the team. In just one year, that’s what Pham has become for the Cardinals. He’s first or second on the team in nearly every offensive category, and he’s the only Cardinal with double-digit stolen bases (though he has been caught stealing 5 times). The only thing more surprising than Pham’s out-of-nowhere rise has been the lack of attention it has received. Welcome to the era of the new reliever. Closers get the fame and the glory, but more and more teams are putting their trust in a bridge man, a middle reliever to come on in high leverage situations to preserve a lead (see Miller, Andrew or Betances, Dellin). 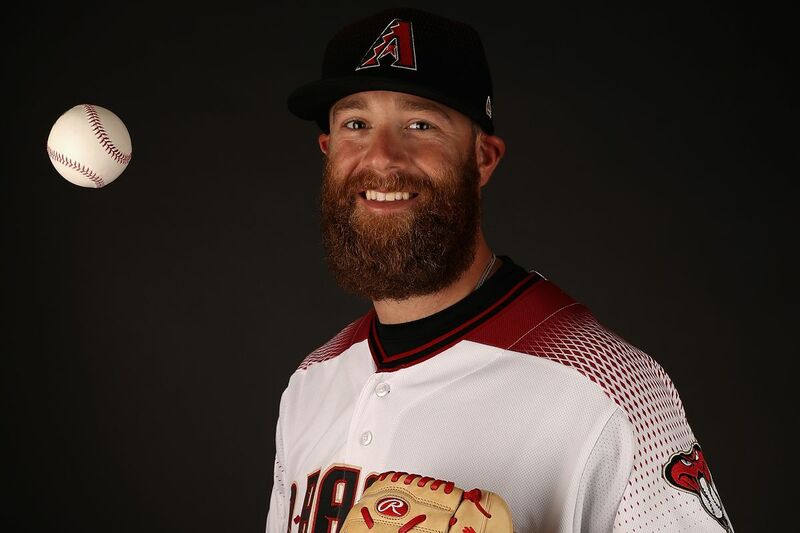 Archie Bradley plays that role for the Arizona Diamondbacks. A converted starter like Andrew Miller, Bradley was moved to the bullpen full-time this spring. New home, new dominance: in 49 innings pitched Bradley has allowed just 8 runs for a 1.47 ERA, fourth among qualified NL relievers. If the Diamondbacks are able to overcome their injuries and get to the playoffs, Bradley will be a big reason why.